Another one I started recently. 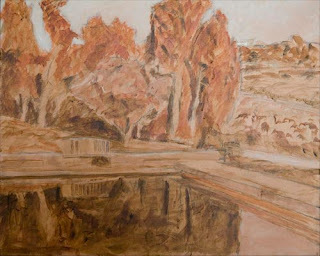 The under painting is done with burnt sienna lightened with white or darkened with raw umber. 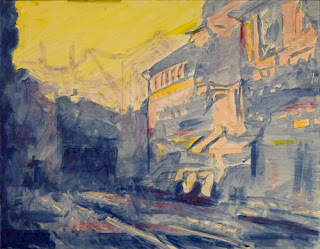 I started this one yesterday it is a street scene very sson after sunrise.